The European Southern Observatory (ESO) team received approval to begin building a revolutionary telescope atop the Cerro Armazones in Chile’s Atacama Desert, officials stated Thursday, December 4th. 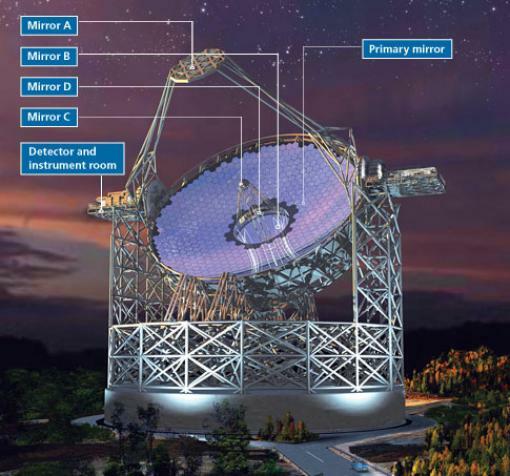 The ground-breaking technology of this telescope, projected to be completed by 2024, lives up to its grand name: The European Extremely Large Telescope (E-ELT). The technological advancements this telescope presents are simply incredible. It will have a light-collecting surface of 128 feet and expects to surpass the Very Large Telescope, which is also stationed in Chile. Even more incredible is the amount of funding required to build the ELT. The approval of its construction was made possible by Poland joining the ESO and sealing the cap on the $1.34 billion needed to fund 90% of the project, known as Phase 1. This primary phase will use the 90% of funding to build and make sure the telescope is fully functioning. The later 10% of funding, used in Phase 2, will go towards the future operation of the ELT. The Extremely Large Telescope hopes to unveil the mysteries of the unknown universe, including the nature of dark matter and dark energy, both of which astronomers know very little about. This progress is monumental! We are just one step closer to unveiling the darkest secrets of the universe. Astronomy, Chile, E-ELT, ESO, Extremely Large Telescope, telescope. Bookmark.